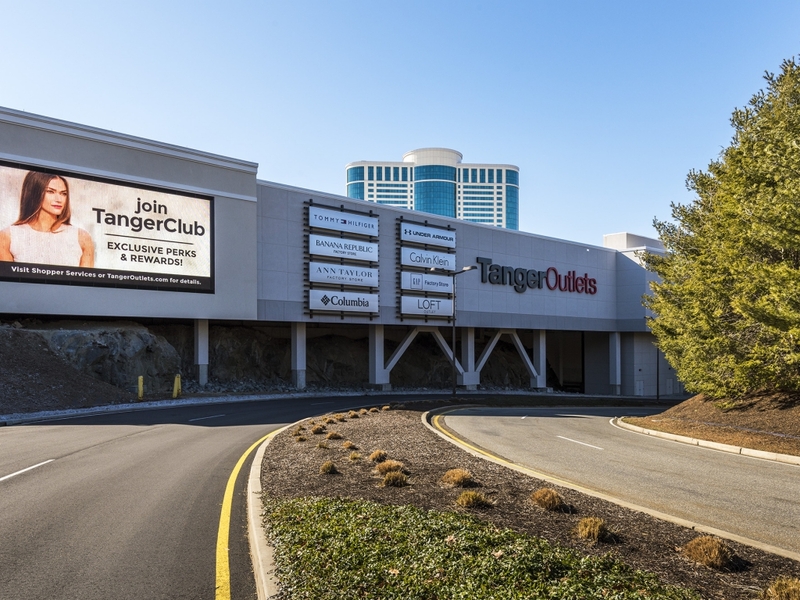 A new Tanger Outlets mall at Foxwoods Resort & Casino is finally nearing completion. On Thursday, Fox CT got a look inside the $120 million, 300,000-square foot project. 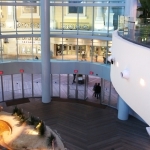 Tanger Outlets at Foxwoods will open next year and will feature 82 upscale brands and designer stores, including: American Eagle Outfitters, Ann Taylor Factory Stores, Banana Republic, Calvin Klein, Fossil, LOFT Outlet, Nike Factory Store, Skechers, Steve Maden and Tommy Hilfiger, among others. Developers say 400 jobs will be created during the construction phase, and an estimated $10.4 million will be generated in annual sales tax once the project is complete. The outlet center took five long years of planning, and there were a number of challenges since construction began in September 2013. The site is built around a wetland and on top of an enormous rock, which had to be blasted and removed. It was enough rock to fill 25 Olympic-sized swimming pools. “Usually, you’ll built an outlet center on a big, flat piece of land–this one was extremely challenging,” said Matt Armstrong, an executive vice president for the project developer, Gordon Group L.L.C. The outlet mall will be Tanger’s first ever indoor outlet mall and will connect two of Foxwood’s around-the-clock casinos. 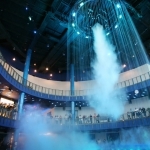 “We think that an enclosed mall connected to a resort is definitely going to have an impact. We think it draw people from hundreds of miles around,” said Armstrong. 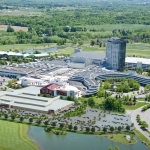 Foxwoods projects the outlets could draw 3 million additional visitors each year to its properties, which executives at the casino say will hopefully help the casino remain competitive with Mohegan Sun Casino & Resort. “We feel like that’s going to give us a competive advantage, not only here but throughout the region,” said Rodney Butler, Mashantucket Pequot Tribe and Foxwoods Casino chairman. An added concern during the transition: decreasing slot revenues in the state of Connecticut. Foxwoods reported slot revenues were $36 million in September 2014, compared to $44.8 million in September 2013. Connecticut casinos are preparing to lose even more revenue from out-of-state visitors who now have more options. Massachusets voters rejected a referendum on Election Day to ban casinos in the Bay State. On Thursday, a gaming license was approved, paving the way for the $800 million MGM Casino in downtown Springfield. Foxwoods officials hope this sizable investment in retail attractions can compensate for competition from additional casinos. “It’s going to have an impact, but in a sense it’s closure. 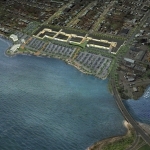 We know what to expect, so we can continue to re-invest in the property and be competitive as possible,” said Butler. The outlets are expected to open May 2015, right on schedule of the 18-month construction timetable.